Apologies to our readers for our rather gloomy group of stories on Page 1 of today’s edition. It would be great to start the week with something more uplifting but you’ll need to flick over to Pages 2 and 3 and the rest of the paper to start to get yourself into that kind of mindset. News is like that but it’s not all bad. Out of each of those front page news items, if you search hard enough, you can pick out some good news. Starting with Malifa Lodge now renamed Tivoliapart Hotel. Well at least there has been the realization – belatedly, that Governments can’t and shouldn’t try to take over what the private sector does best - that is run a business. Hotel and resort owners were no doubt annoyed by the fact of not only having to compete with each other for the few tourists and visitors that there were, but now they were also competing with Government who were using their, and our money. Luckily or unluckily – whichever way you look at it, the Lodge was not a great success and so then Government was faced with the task of offloading it. How good would it be if they would just concentrate and focus all their skills on running the country; which by the way is what they were elected to do? Then we have former Manu Samoa player, Muliagatele Brian Lima, now our rugby Assistant Coach with the unenviable job some might think of keeping the players focused on the game while ignoring the war of words between the World Rugby and Samoa Rugby Union that is swirling around them. To hear him tell, the players are focused on getting that elusive win and from all accounts, we must be close to achieving that. Tafaigata prison is once again in the news and while it is not a good news story with the death of a long term prisoner, we can only hope that the coroner’s report is able to clear up the suspicions of foul play for the grieving wife and family. The good news from that article pertains to mention of the new prison which was supposed to have been opened in June this year. 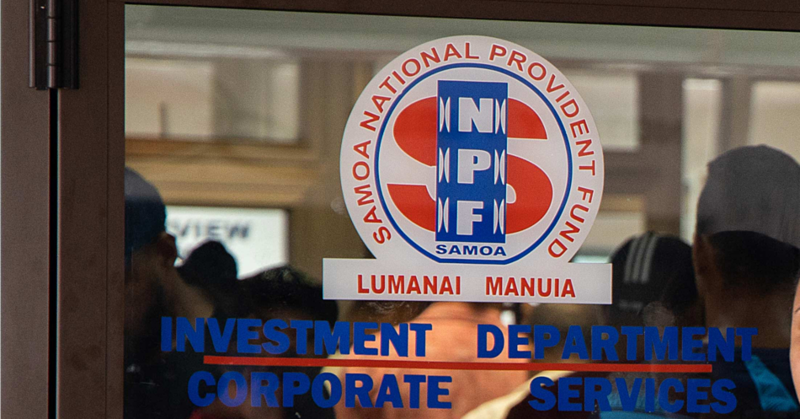 The Assistant Commissioner for Prisons and Correction Services, Ulugia Sauafea Niuia Aumua was able to reassure the wife of the deceased that prisoners were not being tasked to contribute financially to the building of the new facility although there were unconfirmed reports at one stage, they might be employed as labourers. However he did not disclose the date of the new opening date which may be closer to June 2018.